I'm not usually someone who gets excited about the popular places, typically I prefer the more downmarket street food type joints but I decided that I had to see what all the hype was about so on my second night in Sydney I visited Chat Thai. It's probably the most popular Thai restaurant in Sydney, if you ask someone where to go for good Thai they'll most likely send you to Chat Thai. 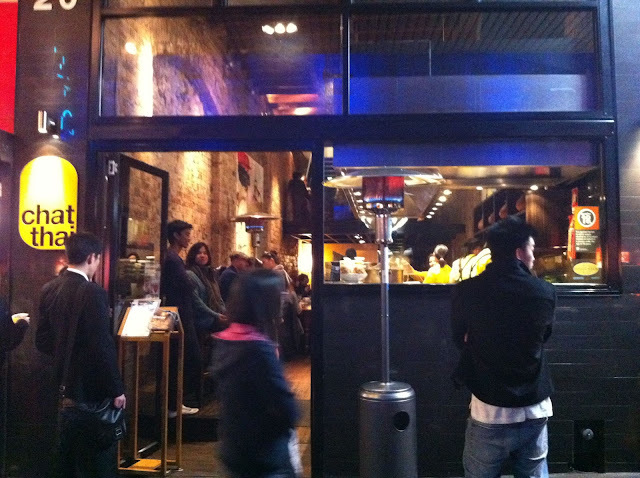 It certainly isn't difficult to find, just look for the crowd of people out the front waiting for a table. I was standing around with the crowd wondering what the deal was when I noticed a couple writing on the list near the entrance. So it turns out the deal is that you write you name, the time, number of people and whether you're willing to share a table on the list and then staff call you when a table is ready. Pretty efficient really, albeit it a little impersonal. The Chat Thai menu looks great, lots of really good photos and of course the meals didn't sound too bad either. As I'm always looking to try something new I decided to order the Kai Dtun as an appetiser. 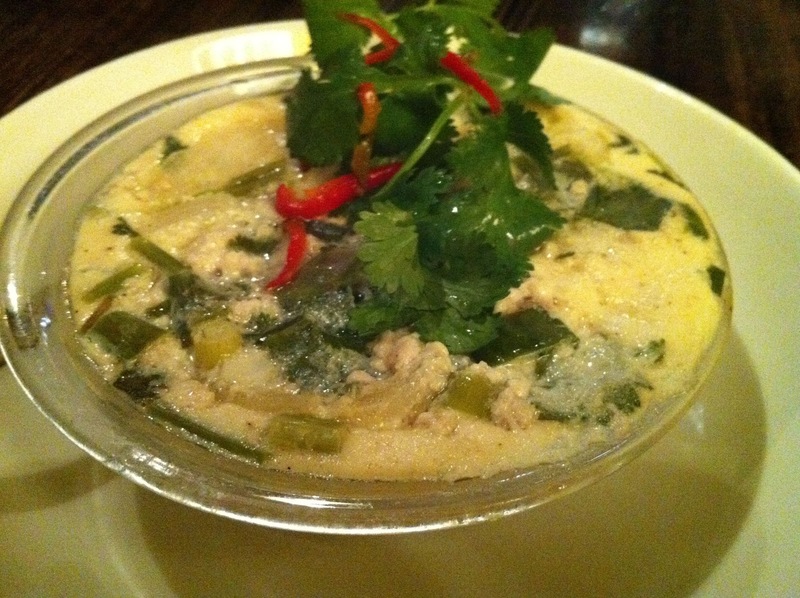 Kai Dtun is described as Steamed Egg Custard with Chicken and Salted Duck Egg Yolk which sounded interesting enough. Unfortunately it was actually not that interesting to eat and I found the whole thing a bit bland. I've had other dishes with salted duck egg and it usually provides quite a strong flavour but I really didn't get much of anything with this dish. I did still eat most of it though so it couldn't have been that bad. For main I couldn't go past the Grapow Gai Sub, which is basically Pad Krapow with Chicken. I can't remember trying chicken krapow previously which it a bit odd really so it seemed an obvious choice. 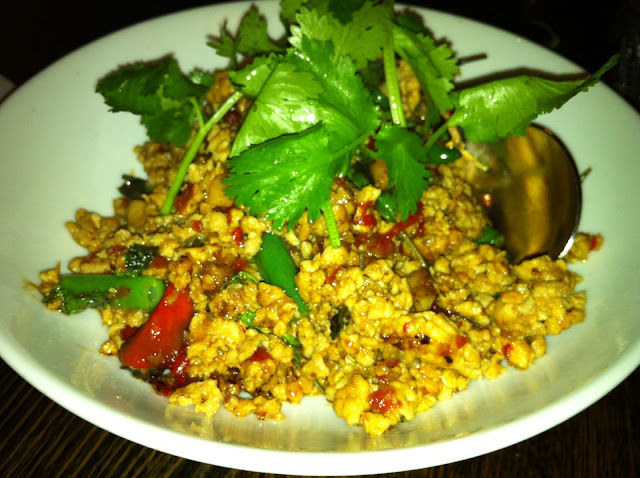 Plus I had to at least try a Sydney version of Pad Krapow. After I ordered I saw a few opther meals come out that looked like share servings and I started to get a bad feeling that my krapow was going to be much more that I could manage. Yep, that's what happened. It was really really good but intimidatingly large for just one person. For some reason there was no fried crispy egg which was a bit disappointing although the flavour was fantastic. It was extremely spicy which is the way I like my krapow and even better they used actual holy basil which really gives the whole thing a noticeably different flavour to sweet basil. For the record I managed to finish about two thirds of it. Luckily I had preempted the spiciness of the krapow and ordered a watermelon ice smoothy thing, I can't remember how this was described. It was perfect to cool me down as I worked my way through my delicious mountain of spicy krapow. 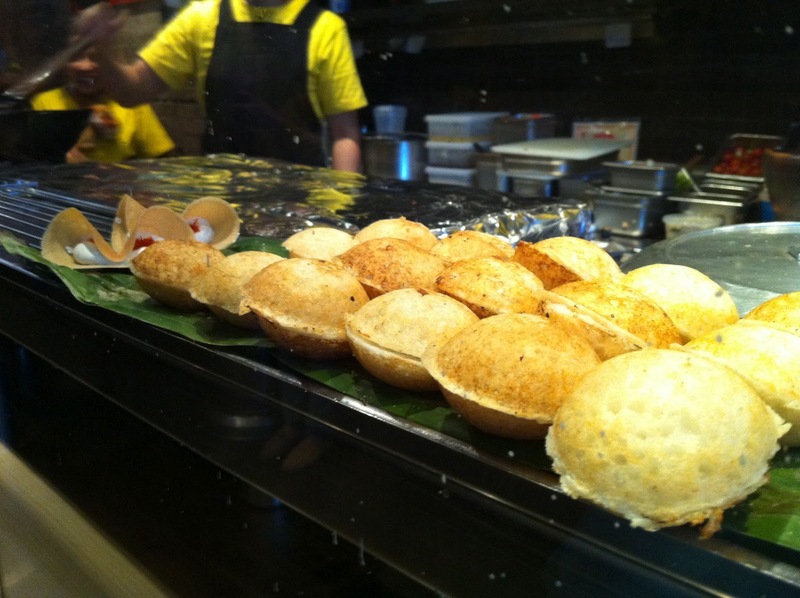 I think one of the reasons that Chat Thai is so popular is the amazing range of authentic Thai desserts. I walked past at lunchtime and saw Kanom Krok being made and even better, for the first time in Australia I saw fresh Kanom Buang for sale. Both these desserts are really special and favourites of many Thai. 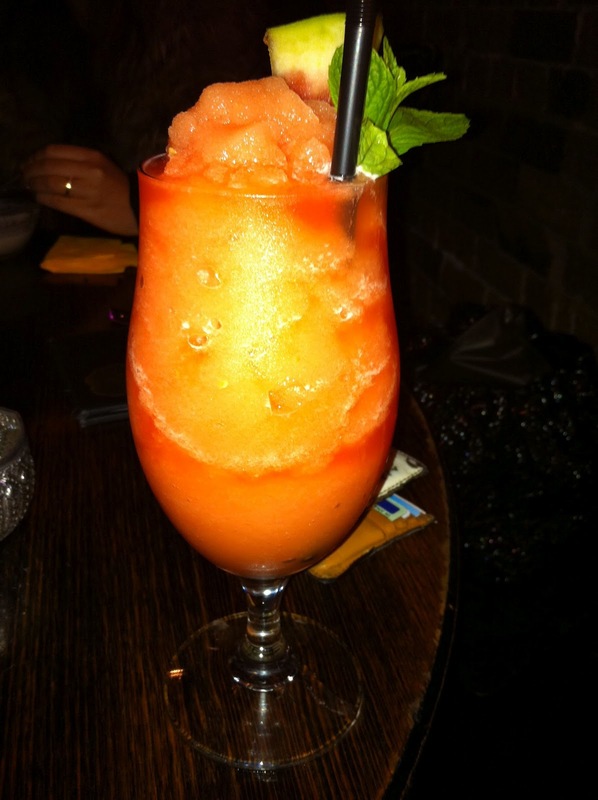 If you've never tried either (and you're in Sydney) I highly recommend a visit to Chat Thai. They're both only served at lunch though so make sure you time your visit correctly to avoid disappointment. I worked this out the hard way and had to return the next day to get my fix of these Thai goodies. After doing my best to put a good size dent into my krapow I was feeling very satisfied but also pretty uncomfortably full. You'd think I would have been relived that my choice of dessert wasn't available and left it at that. You'd be wrong. Despite my high level of discomfort I noticed that Chat Thai also offered Durian Sticky Rice which is another of my favourites. I'm not sure the definition of favourite actually stretches wide enough to cover all of the Thai desserts that I love but I won't let that concern me. I was in no state to eat a dessert right after dinner so I ordered it take away and ate it back in my hotel room. Like the krapow, the serve was very generous and also like the krapow, absolutely delicious. 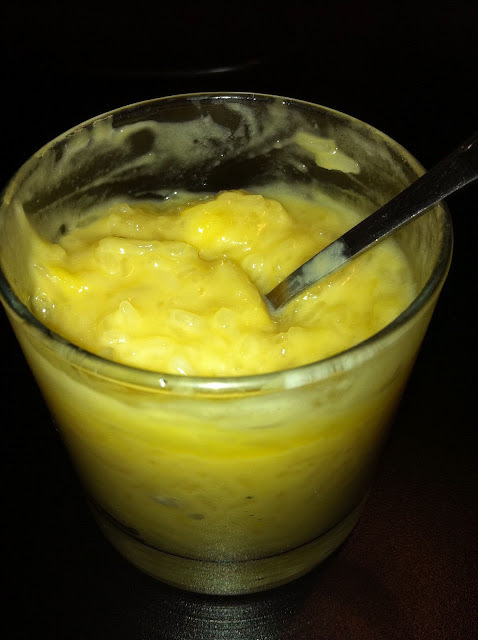 Durian sticky rice actually has a special significance to me as I once cooked it for a friends BBQ and to my surprise Andrew McConnell of Cumulus Inc, Cutler & Co etc turned up. He came into the kitchen as I was plating it up and asked to try it. It doesn't get much more intimidating that that! Anyway, he told me it was the best thing he had tasted in ages! Needless to say I was telling that story to pretty much anyone I spoke to for the next few weeks! Great post! 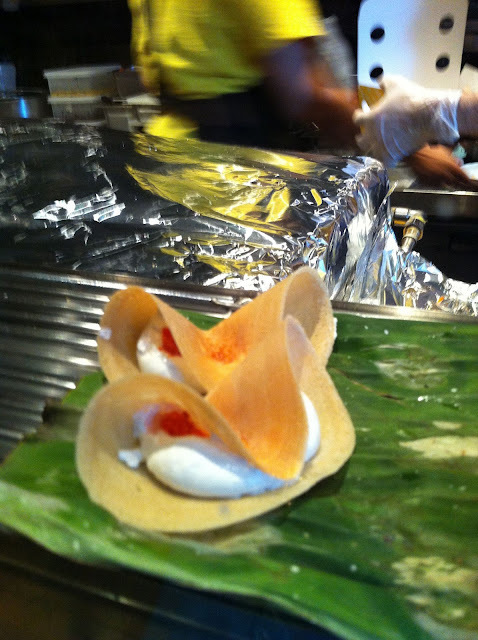 I loved Chat Thai when I visited. Have you visited Home Thai? They are just as good. Same concept too! I haven't heard of Home Thai but just looked at their website. It definitely looks like a place I would like to try, maybe next time I get to Sydney.